Understanding Insurance: What’s Covered in My Homeowner’s Policy? At LGI Homes, we strive to help our residents make smart decisions regarding their homes – afterall, your house is your largest investment! Homeowner’s insurance is essential for protecting your investment, and is often required when purchasing a house using a loan. When it comes to homeowner’s insurance, no two policies are created equal. Even “standard” policies tend to vary it what they cover. Today, we’re here to help you break down and understand your homeowner’s insurance policy so you know what’s covered – and what isn’t. Get to know how homeowner’s insurance works and what’s covered in your policy before signing the dotted line. Standard Coverage – Standard homeowner’s coverage, also known as HO-3, protects your home against various perils, damage and provides a specified amount of personal liability coverage. Generally speaking, lenders require that your policy is enough to cover at least 80% of your home’s entire value. You can opt for less expensive policies such as an HO-1 or HO-2 policy, but these policies cover even fewer risks than an HO-3 policy. Hazards and Damages – Hazards and damages typically covered in a standard HO-3 policy include fires, lightning strikes, tornadoes and hurricanes. HO-3 also protects you in the event you experience a loss due to theft, riots or vandalism, as well as damage caused by frozen plumbing, heating and air conditioning systems. In addition to covering the structure of your home, homeowner’s insurance is designed to protect your assets within your house. This includes jewelry, clothing, furnishings and other valuables. Most policies cover the actual cash value of the items, minus the depreciation. 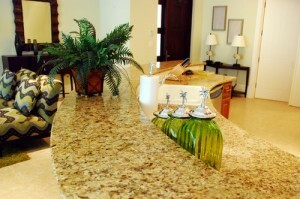 Other policies cover the replacement cost for the items. When signing up for a homeowner’s insurance policy, it’s essential that you familiarize yourself with how the company plans to reimburse or cover the cost of your assets and not just the structure of your house. After all, it’s the things you fill your house with that turn it into a home. 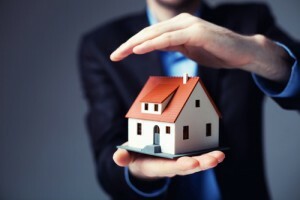 Personal Liability – In addition to protecting the structure and assets of your home, homeowner’s insurance is designed to protect you in the event a lawsuit arises. If someone is injured on your property or you damage someone elses, your homeowner’s insurance will cover the costs fix it. For example, your policy will cover the medical expenses if someone falls down your stairs or trips on your patio and requires treatment. However, this does not include auto or business-related exclusions. Common Exclusions – The two most common disasters that aren’t covered by standard homeowner’s insurance are floods and earthquakes. Sadly, these are two of the disasters that have the most potential to wipe out your entire home. If you’re worried about incurring losses as the result of a flood or an earthquake, you’ll need to take out a second, supplementary policy. Known as an “umbrella policy,” this will ensure your home is fully covered and you’re prepared for anything. Additionally, homeowner’s insurance doesn’t cover routine maintenance costs or repairs. If your sink breaks or your refrigerator stops working, you won’t be able to file a claim for reimbursement with your company, and will have to tackle the replacement or repair costs on your own and out of pocket. As a new homeowner, it can be confusing navigating the world of homeownership for the first time. Fortunately, technology is more capable than ever of assisting you in your journey as you embark on this new chapter in your life. Surprisingly, your phone can be the perfect tool for sorting out everything from who pays which bill to what color you should paint your new kitchen. 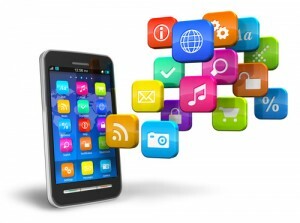 Check out these helpful smartphone apps for homeowners, and take full advantage of all of the help technology can provide as you adjust to the transition. Smartphones have an array of apps for homeowners, so take a moment to help your life become a bit easier and check some out! #1 Houzz Interior Design Ideas – Houzz is an app available on the iPhone that sets out to help homeowners feel inspired when it comes to decorating their new places. CNN called the app “the Wikipedia of interior design” and upon opening for the first time, you’ll quickly see why! The app allows you to browse thousands of interior design ideas by room, style or location, and you can easily save your favorites to a virtual idea book to browse at your leisure. Whether you’re unsure of what color to paint your accent wall or how to incorporate your favorite DIY projects into your home décor, you’ll find plenty of inspiration and ideas with Houzz. #2 HomeAdvisor Mobile – Available on both the iPhone and Android devices, HomeAdvisor Mobile makes it easy to figure out who to call to fix your sink or renovate your patio. The app contains a directory of over 85,000 prescreened service professionals to ensure that any company you work with is reputable. You can browse for professionals in over 500 home project types, so no matter what you’re trying to tackle, you’ll find the right person to get the job done. #3 Divyit – Are you struggling to figure out who pays the electrical or how to split up your mortgage payments? Divyit takes the guess work out of splitting your bills by allowing you to input your monthly expenses and it calculates how much everyone needs to pay. It includes filters for common payments associated with home ownership, including mortgage, Internet, gas, water and supplies. #4 HomeSavvy – One of the hardest parts of being a new homeowner is adjusting to keeping on top of your home maintenance. When you were a renter, you simply had to call a maintenance team in to fix anything that broke at no extra cost to you, but as a homeowner, it’s your job to ensure everything in your home stays in top order. HomeSavvy makes it easy to remind yourself when various features of your new home are in need of routine maintenance. After all, your home is your largest investment, why not protect it? #5 Mint – Mint is a popular budgeting app on the iPhone market, and it’s one of the best for keeping on top of your finances, which can be hard for new home owners. With Mint, you can easily set budgets for all aspects of your finances, from your mortgage payment to your clothing allowance. Simply link the application to your bank account or debit card and it will keep track of what you’re spending – and what you’re spending it on, automatically. It’s useful for identifying areas you could cut back on – as well as areas you can afford to splurge on a bit more. 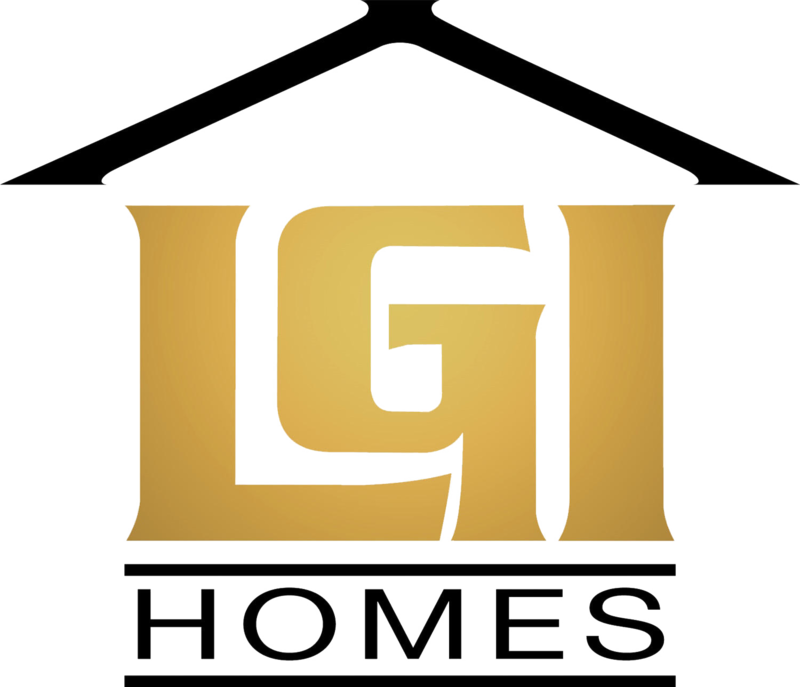 Why LGI Homes? Amazing Aesthetics! When it comes to the homes we build, we understand that the structure isn’t the only important aspect our buyers look at when deciding to purchase one of our homes. In fact, most buyers aren’t nearly as interested in the foundation, drywall and insulation as they are in the simple aesthetics of a home. After all, if you plan to look at the same house for years to come, you want it to be a house you love looking at! We put an immense amount of thought and care into the aesthetics of our houses, and are committed to offering residents homes that are truly beautiful – inside and out. Check out some of our most common aesthetic upgrades, and as with the rest of the features, all are standard in our homes at no extra cost to you. We take pride in building the most beautiful homes in our communities, and homes that you’ll love calling “yours.” Each of our neighborhoods feature unique exteriors, with some mirroring the surrounding landscape. For example, our new homes in Phoenix are heavily influenced by the classic adobe style associated with the area. We incorporate modern architecture with classic styles to create homes that look entirely timeless. All of our homes come with a minimum of $10,000 in included upgrades which adds not only to the monetary value, but also to the aesthetics. From granite countertops and custom cabinets to upgraded trim and flooring, every room in your new home is a room you’ll love looking at and spending time in. We use sleek, modern paints and include top-of-the-line ceramic tiles, and include rounded corners, as well as modern, state-of-the-art appliances. Truly, we pay attention to the little details, and do our part to ensure every part of your new house is easy on the eyes. All that’s missing is a hint of your personality in the décor! 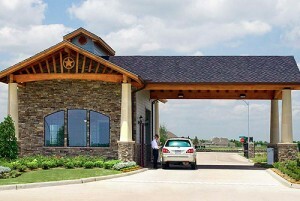 From the moment you drive into your neighborhood, you’ll be greeted by a stunning community entryway. The entries in all of our communities are unique, and you’ll quickly come to associate the sight of yours as a welcome home. 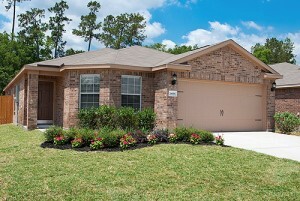 All of our houses come complete with front yard landscaping and a fully-fenced backyard. 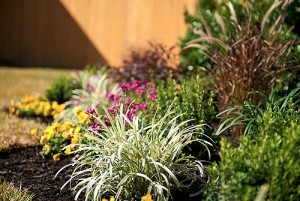 We incorporate plants that are native to the area in our landscaping, which makes them easy to maintain after move in. Many of our homes also include a full-covered patio, giving you the perfect place to rest in the shade and take in the breathtaking scenery around you. LGI Homes‘ spacious lots make the perfect place to start up a home garden, and the warm Texas sunshine is idyllic for allowing plants to flourish and grow. If you’re looking for a fun way to maximize your the use of your yard space and spend some time in the great outdoors, starting a summer garden is the perfect way to do so. And once harvest time rolls around, you’ll love having the ability to make a fresh salad or bake up some vegetable breads using ingredients grown right in your own backyard. 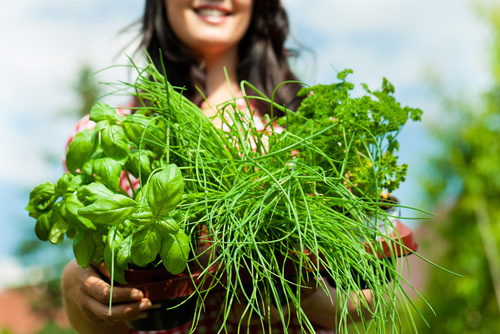 Follow these helpful tips to make the most of your Texas summer garden. The natural soils of Texas aren’t always ideal for plants, so take the time to have soil in the area you want to plan in tested. 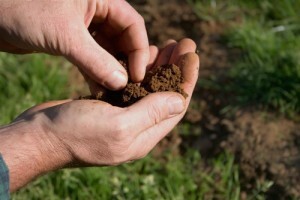 Find out how acidic or alkeline your soil is, and make adjustments as necessary to bring it to the perfect pH level. 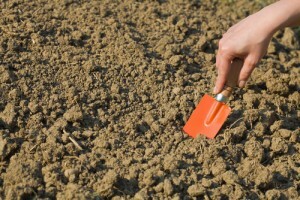 Add ground lime to your soil to make it more alkeline, or sulphur to make it more acidic, if necessary. Mixing in some organic, nurtrient rich soil to the natural dirt will make your plants extremely happy, and they’ll reward you by growing larger and brighter than they would in the natural dirt. Before you break out the gardening gloves and get to work, prepare the area you want to house your garden so it’s in top shape. Rake out your seed bed so it’s free of clods, clean away any debris and remove any weeds that are lurking, ready to attack your new plants. If you plan to install an automatic sprinkler system, it’s easier to do so before you start planting than after. Texas is ideal for growing a wide variety of vegetables, and most flowers will flourish in the climate. June through mid July is the perfect time to get started on growing some tomatoes, cucumbers, radishes, turnips, squash, pumpkins and beets. While your plants certainly won’t hurt for energy from the sun, the Texas heat can cause them to wither and die if left unattended. 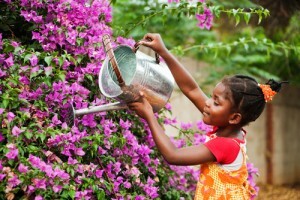 Be diligent in watering your plants on a regular basis, but try not to overdo it, as too much water can also cause harm. Incorporating plenty of organic mulch into your garden will help prevent weeds from sprouting up and strangling the roots of your plants. 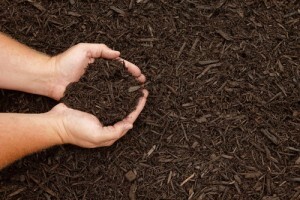 Mulch will also make it easier for your plants to conserve water and will keep your soil temperatures ideal so the roots of your plants don’t bake in the heat. LGI Homes puts you in the center of it all, and many of our Texas communities feature nature areas and greenbelts that are home to a variety of wild creatures. From six-legged creepy crawlies to curious deer, many different animals could see your garden as a tasty snack. 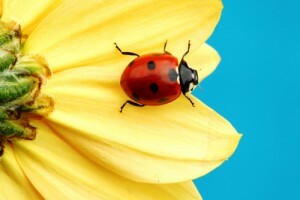 Planting marigolds near your vegetables will help keep bugs away, and installing a motion-activated sprinkler system will scare away rabbits, deer and other wildlife that creep into your yard.